Never underestimate the power of Vin Diesel and The Rock. More so, never underestimate the power of the Fast and Furious franchise. 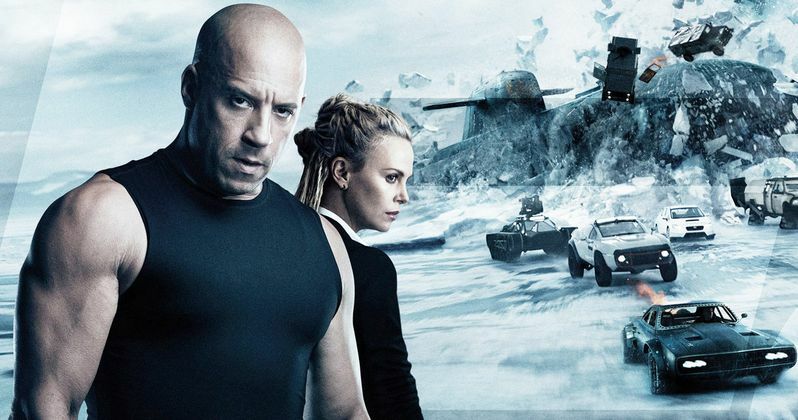 This weekend, The Fate of the Furious, the eighth installment of the incredibly reliable franchise, opened in theaters and set an incredibly impressive record. The Fate of the Furious has officially surpassed Star Wars: The Force Awakens worldwide opening box office record. According to Variety, The Fate of the Furious brought in a tremendously impressive $532.5 million over the weekend. That means it was narrowly able to beat the $529 million worldwide opening weekend box office that Star Wars: The Force Awakens managed to bring in back in 2015. $100.5 million of that came domestically for Fast 8, but that is quite a steep drop off from Furious 7, which brought in $147 million domestically when it opened. Still, the $532 million opening proves this franchise is more viable than ever. "Now that Dom and Letty are on their honeymoon and Brian and Mia have retired from the game and the rest of the crew has been exonerated the globetrotting team has found a semblance of a normal life. But when a mysterious woman (Charlize Theron) seduces Dom into the world of crime he can't seem to escape and a betrayal of those closest to him, they will face trials that will test them as never before. From the shores of Cuba and the streets of New York City to the icy plains off the arctic Barents Sea, our elite force will crisscross the globe to stop an anarchist from unleashing chaos on the world's stage...and to bring home the man who made them a family." What is perhaps most impressive is that The Fate of the Furious, after just a single weekend in theaters, is now the fourth highest-grossing movie in the Fast and the Furious franchise overall. The Fast and the Furious: Tokyo Drift ($158.5 million), The Fast and the Furious ($207.3 million), 2 Fast 2 Furious ($236.4 million) and Fast and Furious ($363.2 million) all grossed less during their entire run than Fast 8 managed in just a few days. The movie has also helped push the franchise to a grand total of $4.42 billion and could easily put it over the $5 billion mark by the time it finishes its run at the box office. As it stands, Furious 7 is the highest-grossing movie in the franchise, with $1.51 billion worldwide. That number is definitely in reach for The Fate of the Furious at this point. The cast for Fast 8 includes Vin Diesel, Dwayne Johnson, Jason Statham, Michelle Rodriguez, Tyrese Gibson, Chris "Ludacris" Bridges, Nathalie Emmanuel, Elsa Pataky, Kurt Russell, Charlize Theron, Scott Eastwood and, Helen Mirren. The movie is directed by F. Gary Gray, who most recently directed Straight Outta Compton. The Fate of the Furious is in theaters everywhere now.